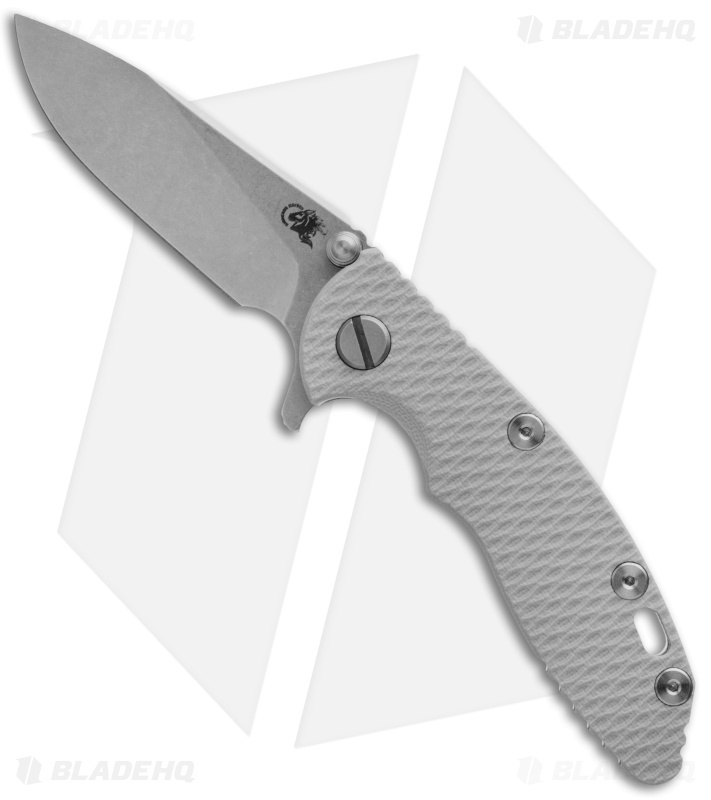 The Hinderer XM folder features an ergonomic design and solid build. This Hinderer XM-18 folder has a tumbled 3" spear point blade with flipper. 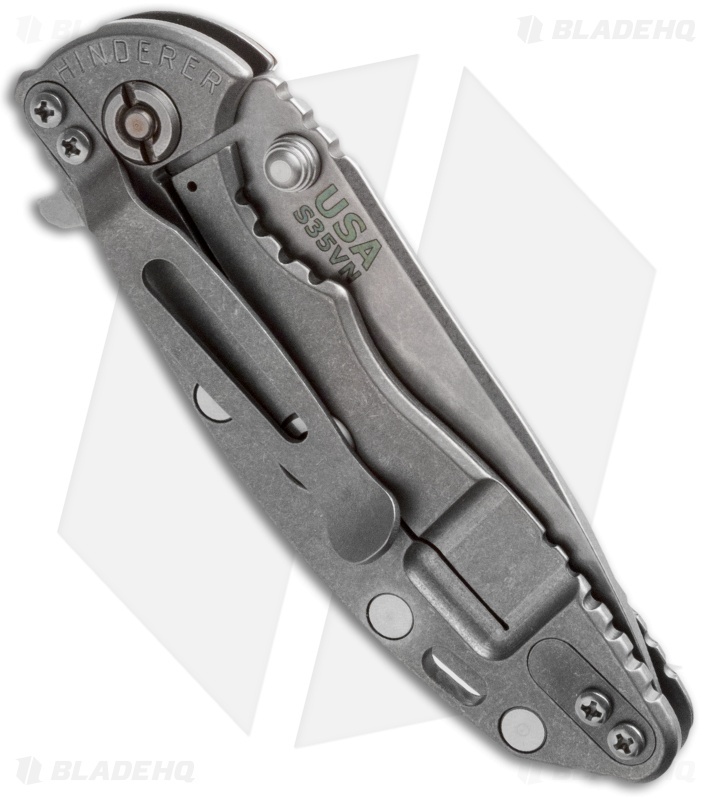 It has a battleship gray G-10 scale and tumbled titanium frame lock.